Why In The World Are People Consuming their Placenta? Throughout history and around the world the placenta has been used by women after birth. Most mammals consume the placenta after the birth of their young. The purpose of placenta encapsulation is to reintroduce the beneficial vitamins, minerals, hormones, proteins, and other nutrients to her body following labor and birth. It helps to restore a more balanced body function, prevent “baby blues” and the more serious postpartum depression, increase breast-milk production, shorten healing time, increase maternal energy levels, boosts immunity, and provides an overall feeling of wellness to aid in the transition between pregnancy and the early postpartum period. I am an APPA (Association of Placenta Preparation Arts) trained Placenta Specialist. The majority of new mothers experience some form of postnatal mood instability. Raw Method- The placenta is not steamed prior to dehydration. The capsule yield with this method is slightly larger, and there is a stronger energy boost. It may cause an upset stomach in those who are not used to consuming raw foods. The raw method is considered better for those who have a prior history of depression. The placenta must be processed within the first 48 hours if using the raw method. Steamed Method- The placenta is steamed, usually along with lemon and ginger (I do not typically add any other herbs as they may not be well tolerated by a nursing baby. If you are allergic to ginger, please advise ahead of time). It takes less time to dehydrate using this method, and the capsule yield is slightly smaller. The energy boost is slightly more mild, but long-lasting with a warming "yang" effect (according to Traditional Chinese Method principles). The capsules may be easier to digest since the placenta was lightly cooked. The Steamed method is preferred for those with a history of anxiety or insomnia. The Steamed method can be done at any time, as long as the placenta has been stored properly in the fridge or freezer. Placenta Salve- The powder from your placenta is combined with an organic, food based, luxurious mixture of oils, butters and organic local bees wax The healing and restorative properties of placenta have long been known and it is a common additive in many beauty products. Placenta salve can be used for cesarean scars or other surgical scars, perineal tears (after stitches dissolve), diaper rash and as a healing balm for many other skin ailments. 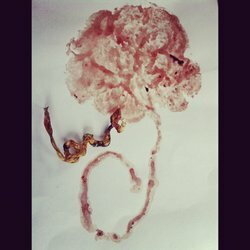 Placenta Prints-A beautiful work of art, made by painting your placenta (with its own blood, or with food-safe materials), then making an imprint on watercolor paper. Prints are then laminated to preserve them. 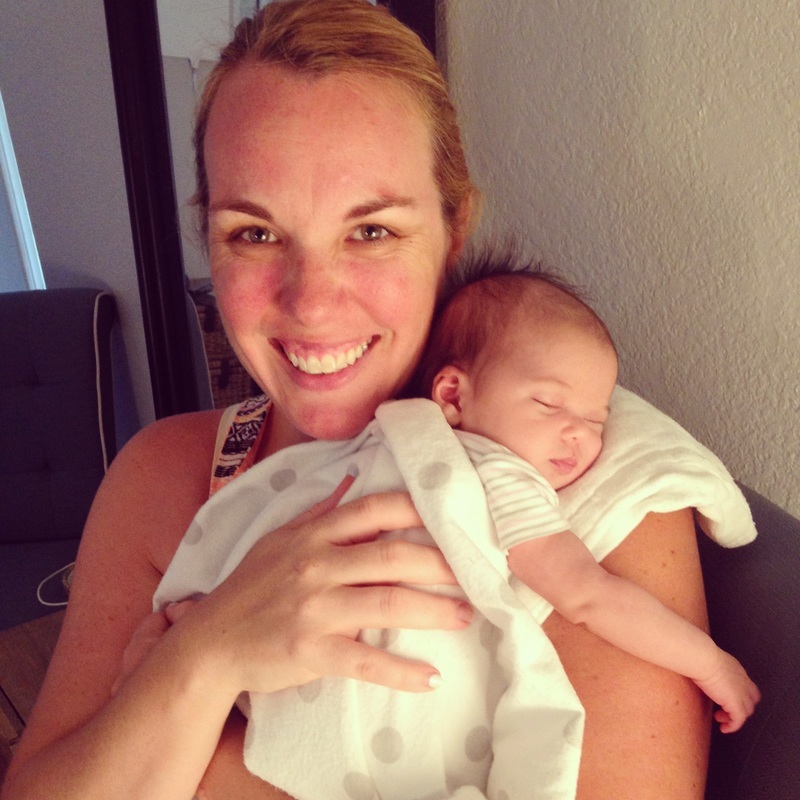 What is in my placenta and how does it benefit me? ​Oxytocin- boosts energy levels, promotes bonding between mother and child, enhances pain relief, and gives an overall feeling of well-being. Oxytocin is also the hormone of birth - it is responsible for the uterine contractions that push the baby out. This effect continues after birth, as oxytocin helps the uterus return to its original size and reduces bleeding. Oxytocin counteracts the production of stress hormones like cortisol and adrenaline, and also enhances the breastfeeding let-down reflex. Iron- Low iron levels can cause fatigue, poor concentration, and feelings of depression. New moms are often prescribed an iron supplement, due to the loss of iron through bleeding during and after birth. The iron contained in the placenta is thought to be more bio-available (readily absorbed by the digestive system) since it comes from the mother’s own body. There is also less risk of over-supplementation when iron and other nutrients are consumed directly from a natural source, rather than a manufactured pill, thus reducing the risk of side effects such as constipation. Human Placental Lactogen- One of the hormones responsible for lactation. Consuming it via placenta capsules helps to increase in breast milk supply, as well as increasing the amount of protein and lactose in the breast milk, making it more nutrient-dense and therefore promoting healthy growth of the baby. Prolactin- Promotes lactation; increases milk supply; enhances the mothering instinct. B Vitamins- Help fight stress, anxiety and depression; boosts mood and memory; helps formation of new red blood cells. Corticotropin Releasing Hormone (CRH)- Helps prevent depression. Cortisone reduces inflammation and swelling; promotes healing; fights stress. What do women say about taking placenta pills and tinctures? "By taking my capsules every day, I feel like it boosted my milk supply and energy. I would do it again in a heartbeat if I have another baby!" "After a traumatic battle with severe postpartum depression after the birth of my first child I decided to encapsulate my placenta after the birth of my second child. I read that there was a 65% chance of postpartum mood disorders in subsequent pregnancies. I cannot even begin to describe the difference that I felt immediately upon taking my placenta capsules. I recommend every pregnant woman encapsulate her placenta, whether she thinks she may need it or not."